Mission Valley Textiles Inc is one of the leading manufacturers of diversified textile. 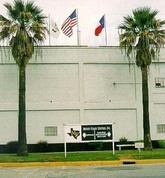 Mission Valley Textiles Inc, formerly known as Planter and Merchants was established in 1921. Plains Cotton Cooperative Association acquired the company that manufactures a number of fabrications from 3 ounce to 12 ounce that includes cotton-polyester bends in seersucker, dobbies, indigo fancies, uniform fabrics, chambrays and many other unique fabrics for apparel markets. Their product mix also includes wrinkle free fabrics for home furnishing, textiles for home sewing and craft trade, upholstery and women's and men's apparel. MVT sells their diverse range of products to different specialty stores, designer brands, and departmental store chains. There are currently 0 consumer reviews about Mission Valley Textiles Inc available. Share your review. Please take a note that you are about to post a public review about Mission Valley Textiles Inc corporate office on CorporateOffice.com. This review will be public, so please do not post any of your personal information on this website. If you would like to contact the corporate offices of Mission Valley Textiles Inc, please use their contact information such as their phone number, website, and address listed above to contact them. However, sometimes staff from Mission Valley Textiles Inc headquarters do read the reviews on this website.